You are assured of a warm welcome at The Potton Nest Bed and Breakfast, Near Sandy, Bedfordshire. Just 5 minutes from RSPB Sandy, Shuttleworth, Biggleswade and the A1(M) we are ideally situated to explore Bedfordshire, Hertfordshire and Cambridgeshire. 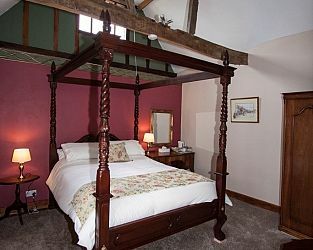 Visit Biggleswade Bedfordshire and the surrounding villages and stay in bed and breakfast, hotel or self catering cottage accommodation provided by BedPosts members. Biggleswade in Bedfordshire is positioned about 20 miles from Cambridge. The town's population is about 15,000. Jordan's cereal is made here. There is a weekly market every Saturday. If you seek accommodation near Biggleswade in Bedfordshire you have come to the website of a “club” of providers who offer affordable quality accommodation around UK in hotels, bed and breakfasts, guesthouses, inns, and restaurants plus self-catering cottages and apartments .